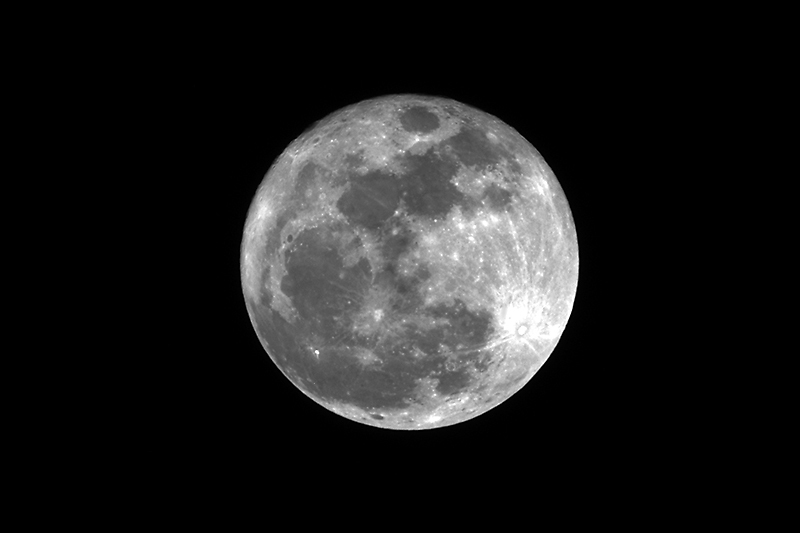 Tonight the moon was at its perigee, closest to the Earth, and appeared 14% larger and 30% brighter than normal. 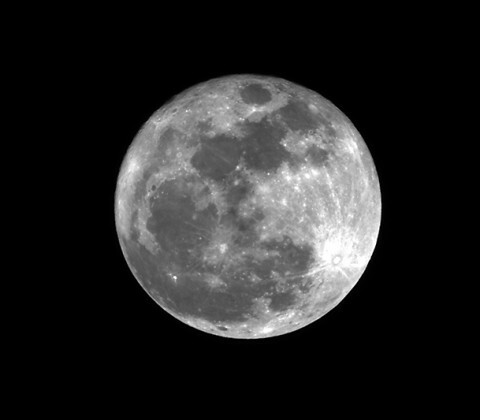 The full moon at its perigee will not occur again until the year 2029. Unfortunately, a slight haze formed and resulted in a not as sharp photo as hoped for. Taken with a Tamron 500mm lens with a 1.4x extender, effectively making it a 700mm shot. Used the mirror lockup and a wireless remote trigger to minimize vibration.